Make way for season three with the Big Three! 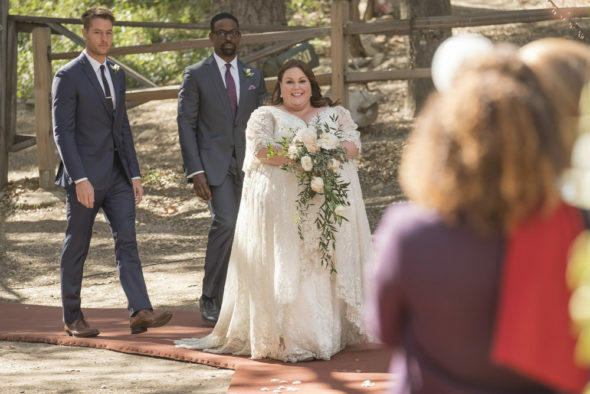 NBC has announced the third season of Dan Fogelberg’s This Is Us TV show will premiere on Tuesday, September 25, 2018 at 9:00pm ET/PT, 8:00 Central. Watch the announcement teaser, below. An NBC family drama, This Is Us stars Milo Ventimiglia, Mandy Moore, Chrissy Metz, Justin Hartley, Chris Sullivan, Susan Kelechi Watson, Jon Huertas, Alexandra Breckenridge, Hannah Zeile, Niles Fitch, Logan Shroyer, Mackenzie Hancsicsak, Parker Bates, Faithe Herman, and Eris Baker. The series follows the Pearson family and their deep, but not always easy connection, as it explores the meaning of family, and the nature of love. What do you think? Are you up for season three of the This Is Us TV series on NBC? What’s your favorite thing about this show? Let us know, below.